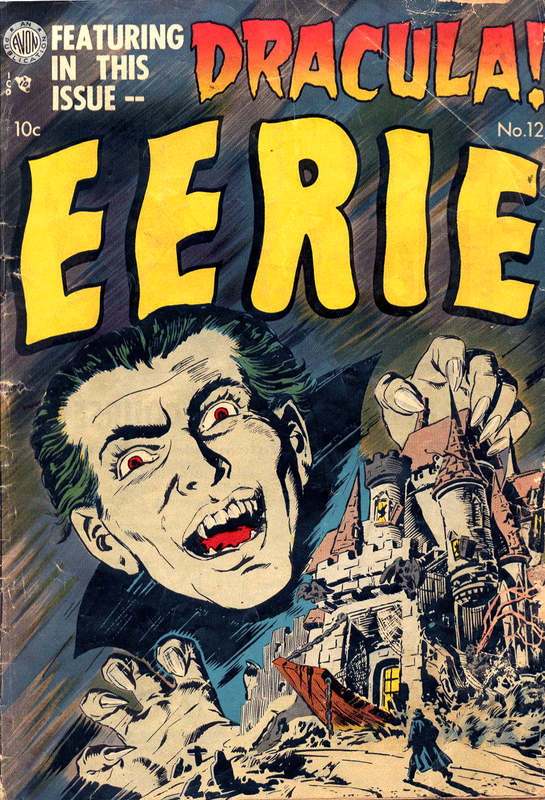 "Classic Comics" (Gilberton, 1941-47) had previously brought two literary horrors to life--Dr. Jekyll and Mr. Hyde in 1943, and Frankenstein in 1945--but they cancelled their plans for an adaptation of Dracula. Therefore, this makes the Avon version the first comic book adaptation. I've posted the entire comic to Flickr; just connect, then go full screen. Happy reading! This comic is in the public domain. For more PD Golden Age comics, check out comicbookplus.com.